Smart points are awarded every time you as a member shop with us; we reward our members for their loyalty. Members will earn smart points on every single product available in our warehouse. 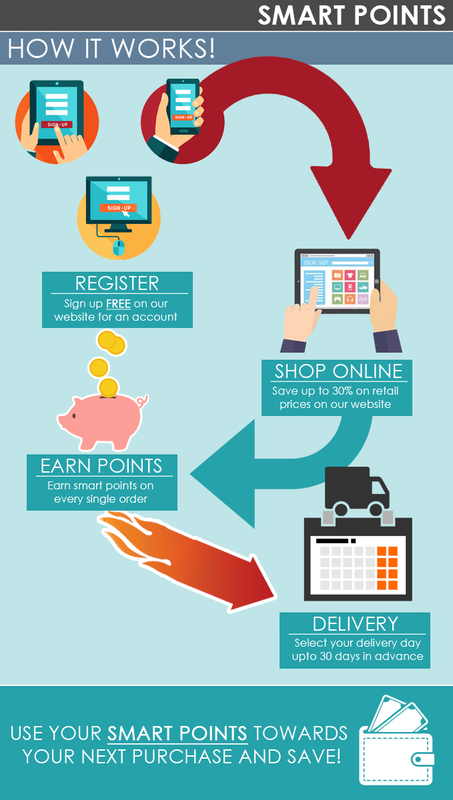 When a member spends between £1 and £1,999.99 on a single order, they get 10 points for every £1 spent. However, when a member spends between £2,000 and £3,499.99 on a single order, they are awarded with 12.5 smart points for every £1 spent. 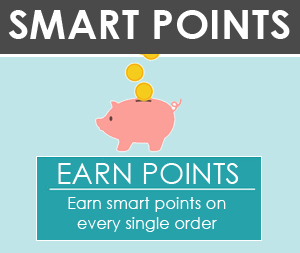 Even more smart points are awarded, when a member spends over £3,500 on a single order, they are awarded 15 smart points per every £1 spent. Onlinecashandcarry.co.uk reserve the right to alter the smart point award system at any time without prior notice, but we will endeavour to inform our members about any such changes. These terms and conditions are applicable across the entire Onlinecashandcarry.co.uk site and any participation is considered as acceptance. Additional terms and conditions may be in place for optional elements of the scheme. 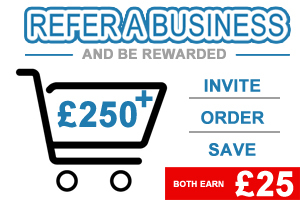 All members of the scheme must be UK registered business and aged 18 years or over. Members are only entitled to one account each. Onlinecashandcarry.co.uk reserves the right to refuse, merge or close additional accounts at any time. Smart points are not transferable, cannot be copied and can only be used by members. any breach or attempted breach of these terms and condition. Members may be able to express a preference for their statement, and where we have their consent other mailings, to be sent to their registered e-mail address or mobile phone number. We will endeavour to respect this preference but reserve the right to send these to the member's registered postal address without prior notification to the member. This may be necessary for business or policy reasons or where there are problems with the registered email address or mobile phone number provided by the member. Members can choose to leave the scheme at any time. By leaving the scheme members forfeit the right to any points already accrued or issued. There is no cash equivalent to smart points. Some products may not qualify for smart points in the future. Any unused smart points expire after 60 Days. Don’t worry we will automatically send you an alert before your points expire. 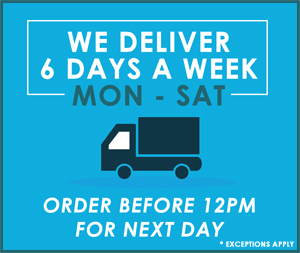 25% of your accumulated smart points can be used against your next order. All smart points awarded will be voided, if a related order is subsequently cancelled.